This weekend's going to be especially hectic (and fun) for me. After Friday's Â¡Club Queso! 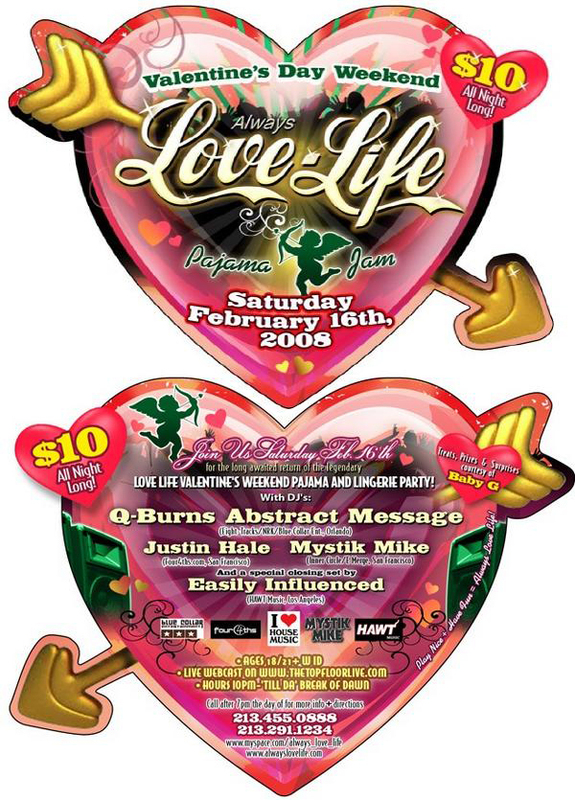 Valentine's Ball I'll be jumping into a jet plane and flying out to Los Angeles for what looks to be an excellent loft party thrown by the Always Love Life crew. Not one to rest, on Sunday I'll be making the hop up to San Francisco where I'm honored to be playing the long-standing Stompy party at CafÃ© Cocomo. More information and flyers after the fold. Saturday, February 16 in Los Angeles - Always Love Life There's not a lot that I know about the Los Angeles date. I know that it will be at a downtown loft space, the promoter and crew are very excited, and it will be a Valentine's themed 'Pajama Jam'. That's correct ... I suppose you are encouraged to dress in your best nightwear (gals) or Hugh Hefner attire (guys). Seeing this is L.A., the mixture of that theme with some bumping house music should yield a bit of craziness and debauchery. I can't wait. I have a MySpace event page for this event (where you can RSVP if you'd like) HERE. Sunday, February 17 in San Francisco - Stompy In all the years that I've been DJ'ing in San Francisco I've always wanted to play the classic Stompy party. I've had chances before but scheduling conflicts always got in the way. 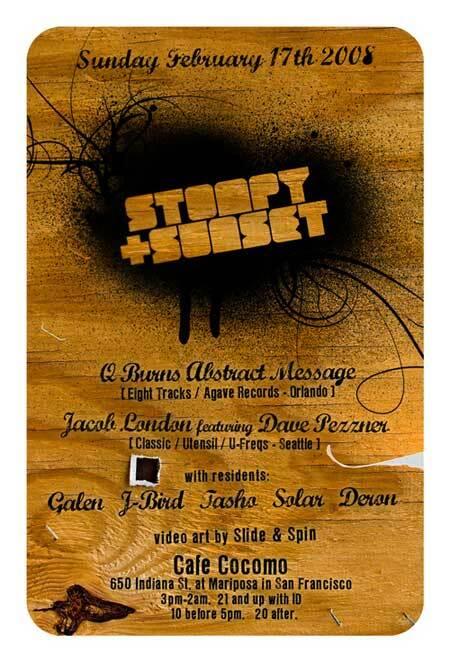 Finally, this Sunday, I'll be joining the Stompy pack and getting down at CafÃ© Cocomo. It seems my buddy Dave Pezzner of Jacob London is playing as well so this will be a hoot. The party starts in the afternoon so I'll be coming straight from the airport and ready to rock. Hope you're ready as well ... it's gonna be a good one. I also have a MySpace event page for this event (where you can RSVP if you'd like) HERE.